July started off being very busy here at ABC. 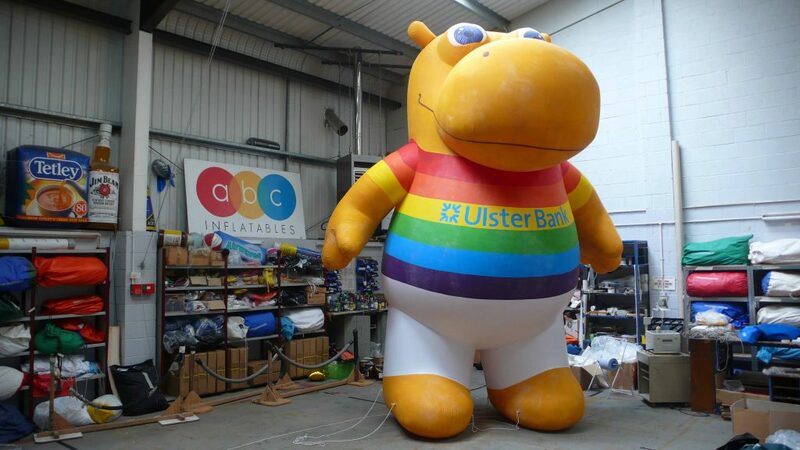 We have been flat-out making parade inflatables for both Dublin Pride and London Pride. These are two of our favourite occasions in the year because they are so much fun! We always get lots of orders to make really eye-catching colourful parade inflatables for these events. 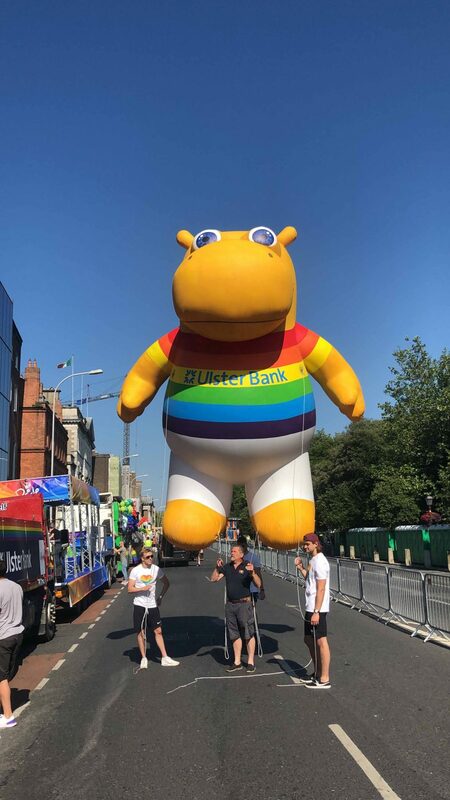 Our star commission for Dublin Pride was Henri the Hippo. Isn’t he fantastic? We made him for Ulster Bank. He measures 5 meters tall and really stood out in the crowd. Henri absolutely owned it and everyone loved him! He became a focal point for the whole Dublin Pride Parade. We also made two wonderful inflatable hearts for Intercom. They were helium filled parade inflatables so they could be carried in the march too. Don’t they look great? But London Pride, which was a week after Dublin, was not to be denied its fair share of ABC parade inflatables too. 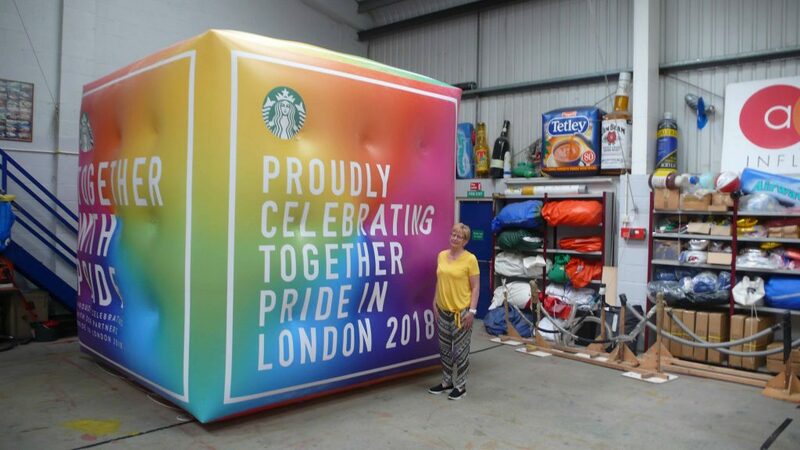 Pride of place (no pun intended) went to the giant helium filled inflatable cube we made for Starbucks. Below is our lovely Gill standing next to it in the workshop, which gives you some idea of how big it is. 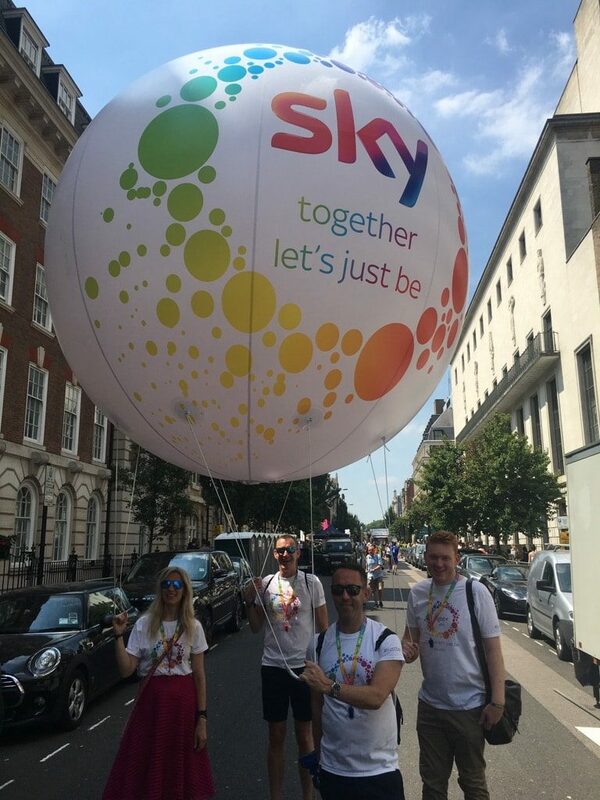 In addition, there were several ABC spherical parade inflatables including a big colourful new one we made for SKY. We have an excellent reputation for producing high-quality, eye-catching, cost-effective, hard-wearing parade inflatables for use at all the big parades. 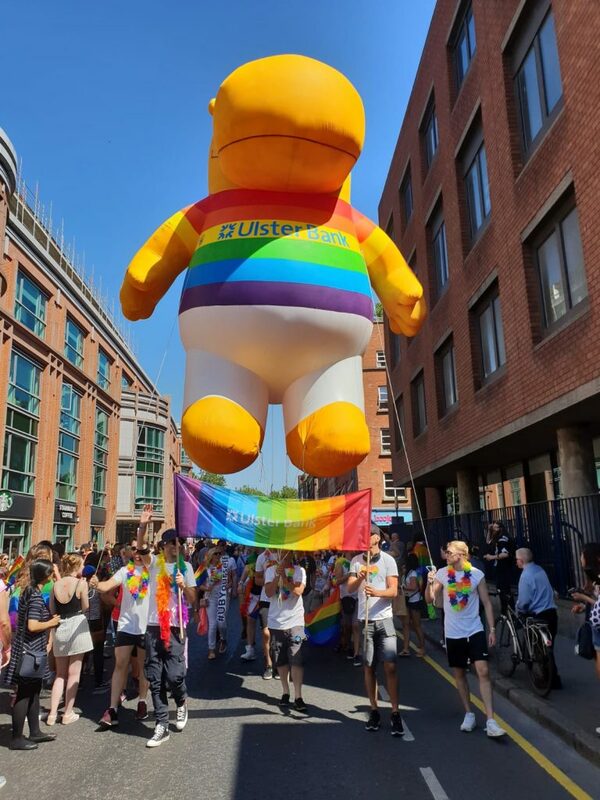 As well as London Pride and Dublin Pride, our inflatables have been seen at The Lord Mayor’s Show and at Trades Union marches. Would you like us to make you or your organisation a spectacular inflatable for use at a march or other outdoor event? Check out our Customised Promotional Parade Spheres page for product information or give us a ring on 01295 278600.